STANDARDS IN WAYS YOU HAVEN'T HEARD THEM BEFORE! At once totally engaging and very relaxing, virtuoso vibraphonist nails these standards, SOLO, with great lyricism and substance. You'll think he is singing quietly in your ear. 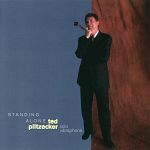 Vibraphonist/composer, Ted Piltzecker tours internationally with the George Shearing Quintet as well as with his own unique ensembles. 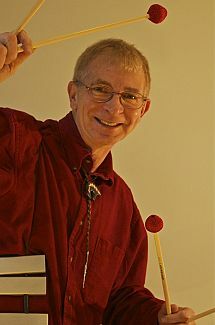 Ted has held faculty positions at the University of Michigan, William Paterson University in Wayne, New Jersey, the University of Bridgeport in Connecticut, and the Manhattan School of Music. He is an associate professor at the Purchase Conservatory of Music, State University of New York, and he remains a popular clinician in universities across the country. For eight years, Ted directed the jazz program at the Aspen Music Festival where he regularly performed with many of the great names in jazz. (Jimmy Heath, Joe Williams, Clark Terry, Mel Torme, Ernie Watts, Hubert Laws, Slide Hampton, Toshiko Akiyoshi, and many more). Ted is a graduate of the Eastman and Manhattan Schools of Music. He is also a licensed pilot and unicyclist. Any solo CD requires great talent and imagination to be interesting all the way through. With vibes, such lone expeditions are rare and can be risky, with things turning monotonous and muddy in the wrong hands. Fortunately, Ted Piltzecker has the right ones, as well as superb taste, time, sensitivity and swing.